Get rid of your scrap or scrap car today and put quick cash in your hand. 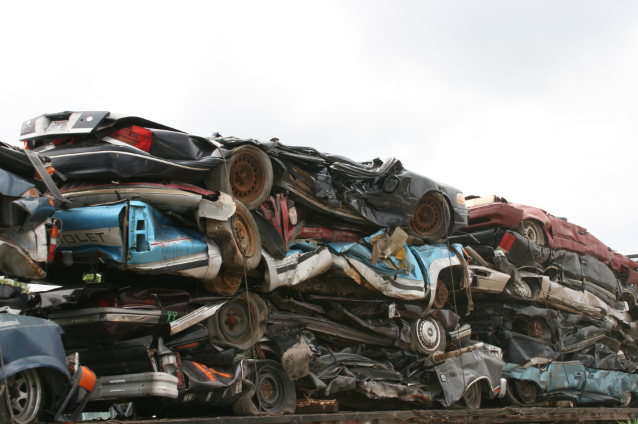 Goulburn Car Removal is the way to go to get rid of your Old, Scrap, Accident or Scrap car. That’s because we’ll pay you for its metals, parts and steel. Give us a call at the number below for a quick quote. At Goulburn Car Removal we are the scrap car experts. How? Because we are the recycling experts that get all the value from an otherwise vehicle with no value. We are a five-star wrecker that pays cash for your vehicle and guarantees to make you the best offer. We make instant Cash for Scrap Car Recycling quotes over the phone and pay cash when we come to collect your vehicle. Our process is one that is quite simple. You provide us with the details of your vehicle so that we can determine the value of its steel, precious metals and any recyclable parts and components. Accept or reject our quote. Schedule a Free Scrap Car Removal Goulburn. That is a pretty simple process and one that only requires about an hour of your time. We bring it back to our place of business where our wreckers are located. Once in our wrecking yard, our auto dismantlers will get right to work stripping the vehicle. Once all parts and components of the vehicle are removed to recycle, they will then crush the steel of the vehicle into new steel to reuse and resell. All hazardous fluids will be disposed of in an environmentally sound manner. Our Car Recycling Wreckers practice the green principles of auto recycling, so your vehicle is disposed of in an eco-friendly manner. Weekday, weekend or holiday is a fine time at Goulburn Car Removal to have your vehicle removed. Our scrap car removals are always free and offered at any hour of the day and night, any day of the year. Scheduling to have Goulburn Car Removal come to clear your yard of your unwanted, scrap, accident, old or wrecked vehicle only takes a phone call. When you choose Goulburn Car Removal, you choose a company that doesn’t risk the environment with unhealthy car disposals. We practice eco-friendly car recycling, leaving the smallest imprint on the environment. We also pay kindly to recycle your vehicle. We are the fully licenced auto buyers & wreckers that are professional in all aspects of used & scrap car buying. We will need to know the details of your vehicle to provide you with an accurate quote. We’ll also ask that you have its scrap certificate or title of ownership, along with your photo ID. If the plates are still on the vehicle, please have them removed at the time we arrive, or let our car technician know that you require help. For more information on our Scrap Car Removal and recycling services, contact Goulburn Car Removal at the number below. Vehicle owners can also submit a request through our “Get a Quote” form at the top right of this page.